Rveal 2 Live TV Box Review: Best Alternative To Cable? The smart TV boxes have become the drama and trauma of the world. Love them or hate them, but you can’t afford to ignore them. So, let’s take the Rveal 2 Live TV box for a spin today. After all, this TV box is garnering a lot of attention from the masses. Its foothold in the market has caught our radar too. With access to premium networks, is this product actually the best alternative to cable? You are about to find this out at a moment’s notice. So, stay tuned! If you are a stranger to the world of Android TV devices, we won’t leave you disappointed by skipping the introduction. After all, the new poster child of the market deserves a formal introduction. This, along with the accompanying review will hopefully give you a good grip on the product. Therefore, tighten your seatbelts because we are about to get started. 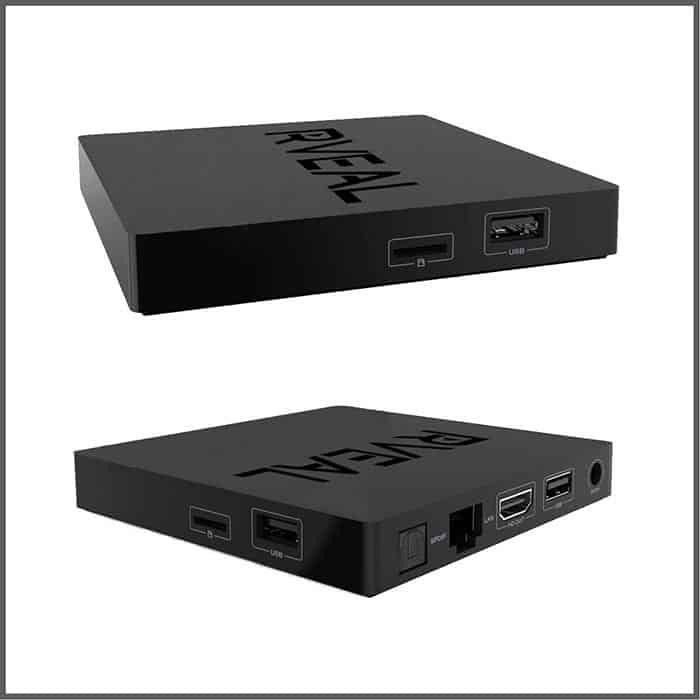 To begin with, the Rveal 2 is the second iteration of the original and widely popular Rveal streaming media player. It is an amazing Android TV box that can breathe new life into your old TV by providing you instant access to a staggering amount of content without any commercials. The device literally has everything at your fingertips —Youtube, HBO, movies, games, social media, music, sports, news, live shows, and much more. What sets the Rveal 2 live TV box apart from other Android boxes is the ability to stream a huge list of premium cable TV channels. The device can keep you entertained for endless hours. In fact, you might turn into a TV junkie. 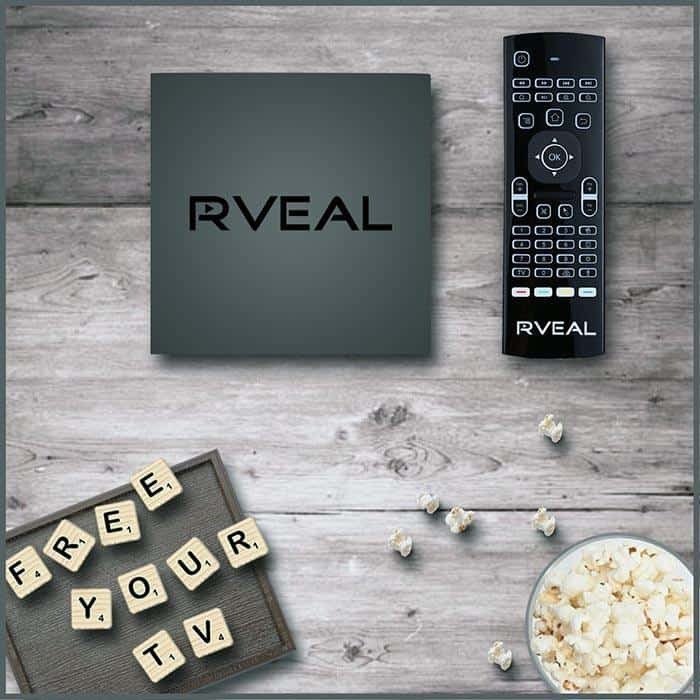 Basically, the Rveal 2 Live TV box opens the door for unlimited entertainment right on your regular TV by turning it into a smart TV. Better yet, it comes pre-installed with everything right out of the box to get started streaming right away. As hinted before, it won’t take a massive effort-fest to get started. All you have to do is plug the device into your TV to enjoy unlimited content with great digital quality and no recurring costs. So, you won’t have to begrudgingly pay money every month to the greedy satellite/cable companies. For user convenience, the streaming device is broken down into movies, sports, live TV, games, music, TV shows, Google Apps, and several other sections. It’s like a one-stop-shop for all your TV/PC viewing needs. You might actually stop going to the theatre or at least be able to cut the cable cord by bringing home this little marvel. You will be able to watch all the current movies in your bedroom or living room without any extra cost or commitment. It can’t get better than this, isn’t it? As mentioned before, this streaming device is designed to give you high-end user experience at the comforts of your home. Hands down, the Rveal 2 is the best plug and play alternative to cable currently on the market. Of course, you would need a steady Internet connection to enjoy the madness this unit brings to your home. The package includes everything else you would ideally need to get started in a cinch such as the streaming device itself, power plug, air mouse remote, HDMI cable, and the instruction manual. So, let’s press on with the product description to know this TV box from top to bottom. Believe it or not, it will be an interesting reveal. You will surely be able to make a confident buying decision by the end of this review. So, don’t quit yet! Looking at the design, it’s far better than the barely tolerable units out there. Yes, this TV box is sleek, stylish, and discreet. So, it won’t prove to be an eyesore next to your TV set. In fact, you will be surprised at how small and light the device is. With Octa-core processing, Ultra HD, and other advanced features, the device is conveniently sized to pack up a good punch. The storage, memory, and the processor speed are well-equipped to stream anything reliably. So, you won’t have to worry about buffering or pausing issues in the middle of an epic scene. Basically, the product is nicely engineered with great specs to stream content without any hiccups. Since it’s powered by Android, it offers access to all the apps available on the Google Play Store. The makers have clearly put together a polished device to take the user experience to a whole new level. Given the product components, it’s clear that Rveal didn´t cut any corners. Basically, it has all the high-end specs. There’s nothing about the device that will make you feel that you are still in the dinosaur age. The content can be viewed without buffering or pausing at a high-digital quality, and it’s also easy to skim from one section to another. On the whole, it won’t be an understatement to claim that this device is the real wolf in sheep’s clothing. As the heading hints, you aren’t handed over an ordinary remote. The package includes an air mouse remote, which is quite essentially smart tech at its best. It also has a keyboard under the controller. It’s great for searching, browsing, and for overall navigation. The nice little motion-sensing remote control works like a breeze even from a long distance. So, you won’t have to press the keys countless times to get it to respond. This high standard remote takes all the legwork away. In fact, it can easily put the standard stock remote to shame. 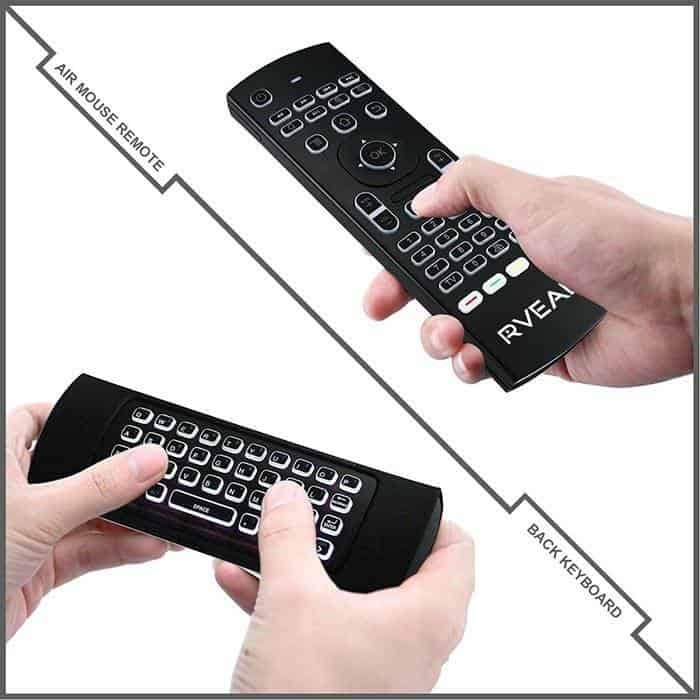 Simply put, the remote is second to none, in terms of quality, durability, and usability. Of course, it looks good too. Once you get used to this remote, it may seem like a dyed-in-the-wool need because you would hate to switch to the stock remote. So, the air mouse remote is a winner by all accounts. The Rveal TV App is a people-pleaser by all means. It makes the Rveal 2 Live TV box more special. Remember, this app is not available in Play Store. So, don’t bother yourself looking for it on Google Play store. It’s a unique app created for the Rveal customer base. The Rveal App is designed to work with Kodi App. It takes all the technical leg-work required for customizing, accessing, organizing, and watching music or videos on Kodi. Better yet, it gives you access to streaming content not available anywhere else. Simply put, the Rveal TV app makes it very easy to enjoy this streaming device to the fullest. The obvious selling point of the Rveal 2 is the included streaming service that this device provides exclusive access to. No Kodi add-ons or paid subscriptions required, the Rveal 2 provides access to countless TV channels. This media player will also work with almost all the streaming services out there. So, it’s not one of those units that will refuse to stream content from more than a few choosy places. Also, the Rveal 2 Live TV device includes a ton of apps that are hard to find in most of the other units out there. Despite having all the bells and whistles, the learning curve is almost next to zero. It takes very little time to figure out all the awesome features of this streaming device. This is another area where this media player beats most of its competition by a wide margin. It has excellent hardware too. Combine this with all the updated software; the product has set itself for a hard-to-beat path, which is apparent from the growing popularity of the product. The interface is also nicely laid out. Basically, the user-friendly layout makes it very easy to find content. So, you won’t feel that you are heading nowhere fast. Moreover, you can also customize the interface to suit your personal needs. The moment you power it up, you will be greeted with an Android logo, followed by the most commonly used apps on the home screen. The pleasant user interface lets you expand your app list as needed. Basically, you will be up and running in no time. Oh, almost forgot! The device will run a tad bit slow when you power it up for the first time. The system does necessary behind-the-scene upgrades when you power it for the first time. After that, it works like a breeze. Remember, you have been pre-warned! Don’t hit the panic button when you encounter slow speed on your first screen visit. With a little bit of patience, it should be easy to learn all that is available to the users. For self-help, an instruction manual is tied to the package. The instruction manual is well-written, and it covers all the functions of the device. As mentioned before, it’s very easy to get started with this streaming player, but if you need help, there’s customer support too. The display quality is stunning as well. Truthfully speaking, the picture and sound quality will just make your day. So, it’s not one of those sorely lacking units. It’s graphically powerful too. Since it’s quite small, it doesn’t take too much real estate either. Furthermore, the product is backed by a solid warranty to ease your worries. The warranty acts as a protection shield for the users. The Rveal support team is top-notch as well. It almost feels that the guys out there are on steroids at all times. Frankly speaking, you won’t die of old age waiting for their response. Better yet, they do a good job at throwing out outdated apps, which are often replaced with newer ones. So, you won’t have to quit your full-time job trying to figure out which application to keep or remove. They do all the work behind the scenes so that you can grab the popcorn, relax on your couch, and enjoy the TV. This device really promises good times. You can watch all your favorite shows at your convenience without being bothered by the distracting commercials. Only once you lay your hands on this unit, you will have gratification for the time spent on aimless commercials. There are instances when a channel may go down for maintenance reasons. However, these instances are rare and few. For the most part, the device is able to stream content like nobody’s business. So, the device won’t buffer or crash for no reasons in the middle of an ordinary day. But, you might encounter a hitch here and there, which is a common occurrence in a product of this nature. As you might already know, no product or company is 100% perfect at all times. Therefore, we won’t hold major grudges against this product for the ultra-occasional fails. In our opinion, this shouldn’t be a deal-breaker personality trait for this product. Also, many times occasional chokes get fixed once you restart the device. Being a top-of-the-line product, this TV box won’t come on a shoestring budget. Although it’s reasonably priced for its features, it may not be an ideal fit for those who are not keen on destroying their piggy bank. Simply put, you should be willing to spend more if you want to bring home a marvel of a product. Of course, you can get unbranded TV boxes for a cheaper price, but they will surely fry your brain sooner or later because they are badly cloned and cheaply made with no support whatsoever. It won’t take too long for you to realize that the cloned devices are worth nothing more than a worthless piece of brick. And, ultimately Rveal´s price is derived from the bundled streaming service. So, it pays to swallow the one-time cost for a product of this quality. Not to forget the fact that a high-quality TV box will pay for itself in the long run by helping you get rid of the cable connection. 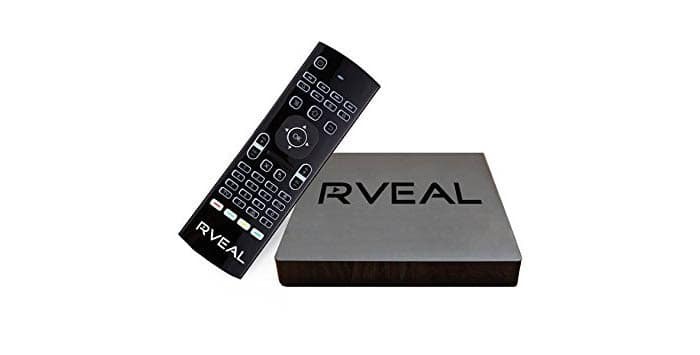 The Rveal 2 is without a doubt a worthy successor of the widely popular original TV box from Rveal. The specs are a big step up ensuring a smooth user experience and better compatibility with the latest apps. However, the main selling point of the Rveal 2 is the plug and play live TV streaming functionality. And this is identical to the original Rveal box. So, if you already own an Rveal that you primarily use for streaming, there is very little reason to upgrade. But, if you notice sluggish performance or use other apps with your Rveal, upgrading is definitely recommended to ensure a great user experience for years to come. Overall, it’s a very well-rounded Android TV box. It’s not one of those media players that will leave you with a ‘yuck’ look on your face. The product specs are up to the mark, and it works like magic. Better yet, it’s loaded with a laundry list of features to give its competition a run for their money. It’s easily the most stable, powerful, reliable, and easy-to-use unit out there. Simply put, the Rveal 2 has the variety and the freshness that even the most robust devices lack. So, this TV box doesn’t disappoint. This device can easily offer a whole new spectrum of fun. It’s unlikely that you would ever regret getting this unit. In fact, once you tap into this little marvel, you won’t look back! 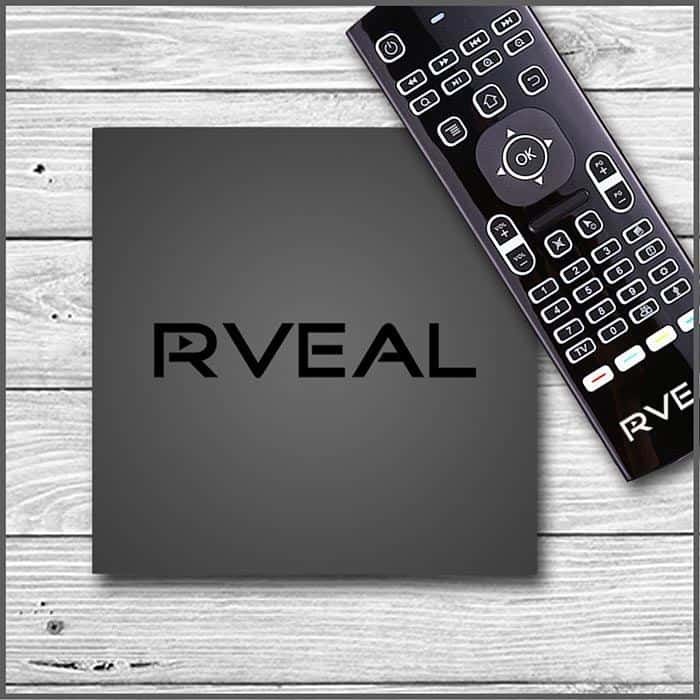 Given the endless amount of entertainment and live TV capabilities, the Rveal 2 is, without a doubt, the best alternative to cable that does not require a monthly subscription. Previous Post BuzzTV XPL 3000 Review: Android IPTV Box with Stalker Support Next Post SkyStream Two Review – The Ultimate Cord Cutter Box?